W.J. Dooley Funeral Service Ltd. It is with deep sadness that we announce the passing of our mother, grandmother, great-grandmother and sister, Bernadette Dunphy, at the age of 84, on Tuesday, March 12, 2013, at the Northside General Hospital after a brief battle with cancer. Born in Low Point, Jan. 1, 1929, Bernadette was the daughter of the late Waldon J. and Laura Mae (Ling) MacGillivary. She was a graduate of the School of Nursing at the New Waterford Hospital. She married the love of her life, Bill in Montreal in 1958, moving back home in 1965 and taking up residence in North Sydney. She was a wicked auction and tarabish player and could rap a table with the best of them. She was a loyal Toronto fan, both the Maple Leafs and the Blue Jays. 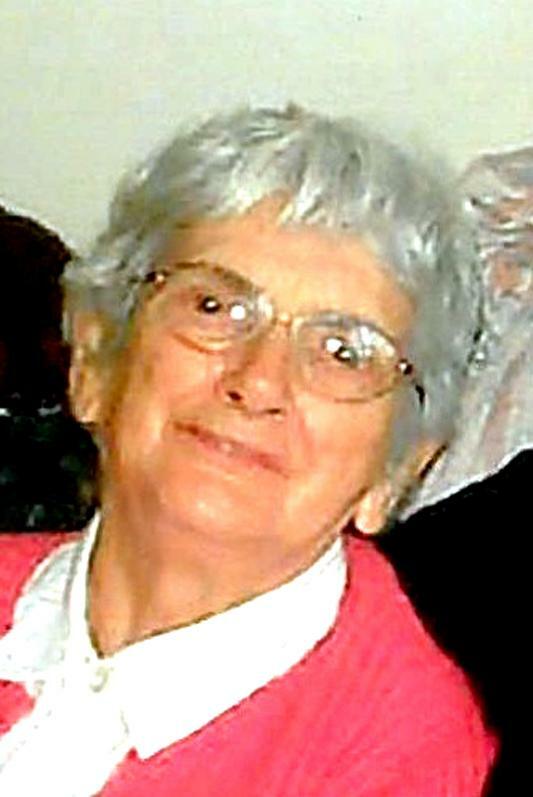 She was a faithful member of St. Joseph Church, and a longtime member of the CWL and St. Joseph Church Choir. Bernadette was truly a warm and loving soul and will be sadly missed by her family and friends. Bernadette is survived by her three children, Bill (Eleanor), Inverness, Angela, Winnipeg, and Chris, North Sydney; her grandchildren, Ashley, Meghann, Brigid, Tara, Holly and Austin; and her three great-grandchildren, Sage, Liam and Isabelle. She is also survived by her brother, Jim MacGillivary and dozens of nieces and nephews. Bernadette was predeceased by her husband of 45 years, Bill Dunphy, brothers, Waldon and Blaise, sisters, Genevieve, Laura, Muriel, Geraldine, Lenore and Mary. The family would like to thank Dr. John Kirkpatrick and the nurses on 2 west and 4 west of the Northside General Hospital for their constant and compassionate care. Visitation for Bernadette will be held from 3-7 p.m. Thursday in the W.J. Dooley Funeral Home, 107 Pleasant St., North Sydney. A funeral mass will be held at 10 a.m. Friday at St. Joseph Church with Rev. J.J. MacDonald officiating. Burial in Holy Cross Cemetery, North Sydney. Online condolences may be sent to www.wjdooley.com.